If you need to replace a missing tooth (or teeth), dental implants work with your body to fully integrate your replacement tooth into your natural teeth. Dental implants are great, long-lasting solutions that look and function like your real teeth. At Mauriello Dental, dentists Joseph Mauriello and Vivian Mauriello have extensive experience in providing dental implants to their patients in the Fort Lee, New Jersey, area. To learn more about this popular option, call or schedule an appointment online using the booking tool. A dental implant is an ideal solution for replacing missing teeth because it integrates itself naturally into your jaw. The implant itself is a metal post that the dentist places into your jawbone where your tooth is missing. Over the next weeks and months, your body grows bone and tissue around the post, in effect welcoming the prosthetic as part of its system. 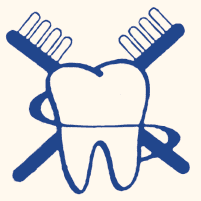 Through this integration, your replacement tooth is far more stable and structurally sound than other dental options. Once your body has grown up around the post, either Dr. Vivian or Joseph Mauriello places a crown over the post that fits in seamlessly with your existing teeth, both from an aesthetic and functional perspective. If you lose a tooth and don’t replace it, you run the risk of bone loss. Your bones remain strong when they’re in use, but if the underlying bone is no longer needed, it starts to deteriorate, which can lead to a shrunken appearance around your mouth. Dental implants offer excellent support for other dental devices, such as bridges and dentures, preventing them from shifting and slipping. A gap in your teeth can have an aesthetic impact on your smile. Dental implants covered with a crown provide you with an alternative that looks and feels just like one of your natural teeth. During your first visit with either of the Drs. Mauriello, the dentist prepares the site by first making sure there are no remnants of your old tooth. Once the area is clear, Dr. Vivian Mauriello or Dr. Joseph Mauriello surgically inserts the metal post into your jaw. Over the next few months, your body sets to work to integrate the artificial “root” by growing bone and tissue around the post. If you need to have a temporary cover for the implant during this time, one of the dentists discusses the options with you. Once your implant is fully healed over, you receive a crown that’s custom designed to match your existing teeth. To learn more about how dental implants provide you with a long-lasting and effective dental solution for missing teeth, call Mauriello Dental, or book an appointment online.